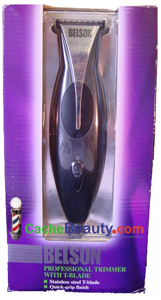 The Belson Professional Trimmer features a stainless steel T-blade and quick-grip finish. It is ideal for trimming mustaches, beards and around ears. "ONLY 1 LEFT IN STOCK"